HA NOI (VNS)— The Vinmart Supermarket Joint Stock Company of the country's leading property firm Vingroup has signed a contract to buy a 100 per cent stake in the VinatexMart supermarket chain. 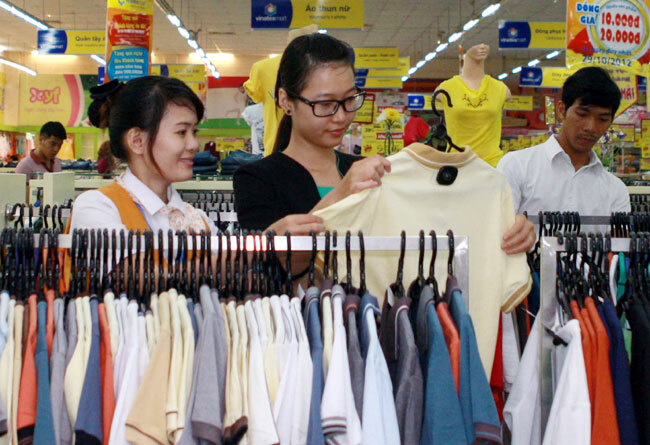 VinatexMart, one arm of the State-run Viet Nam National Textile and Garment Group (Vinatex), has 58 outlets in 26 provinces and cities nationwide. Its supermarkets stock 60,000 items from five main categories of goods such as garments and textiles, fresh food, cosmetics and home appliances. Director General of Vingroup Duong Thi Mai Hoa said the Vietnamese retail market was an attractive area with long-term potential, which has recently seen forays being made by several global retailers. VinatexMart's acquisition was a stepping-stone for Vingroup to reach its goal of establishing 100 supermarkets and 1,000 convenience stores by 2017, she said. VinMart has so far launched 14 supermarkets and 23 convenience stores in localities such as Ha Noi, HCM City, Quang Ninh and Hai Duong, besides Ninh Binh.